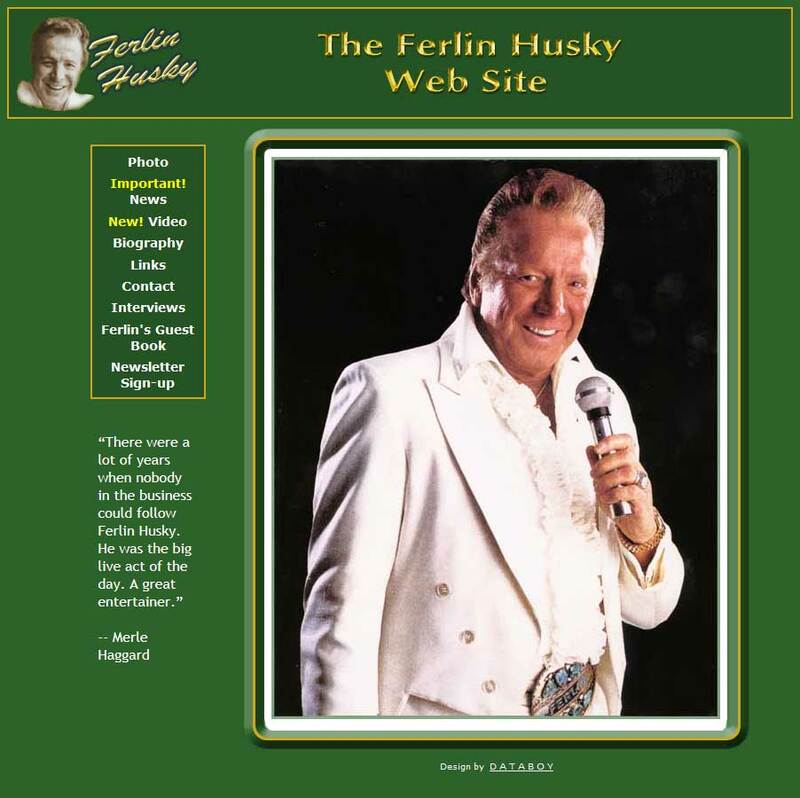 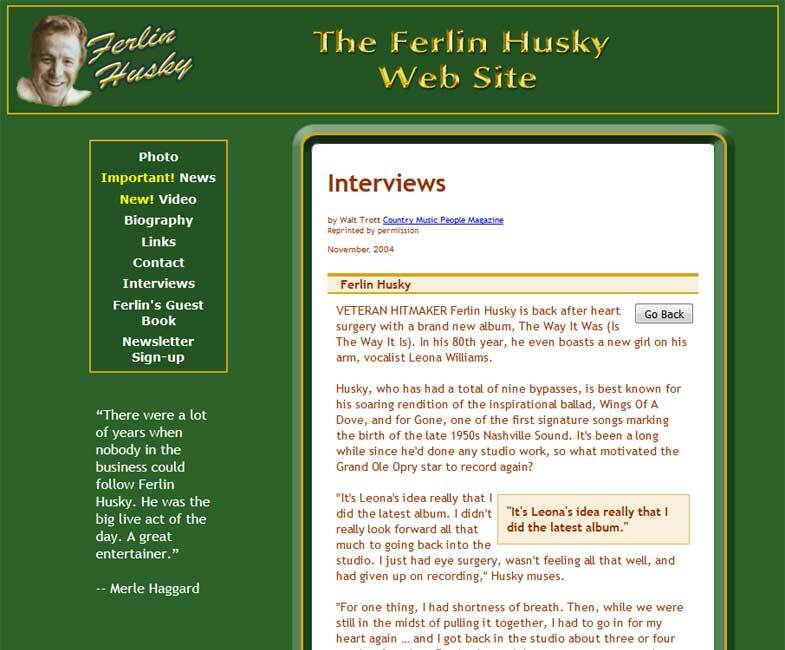 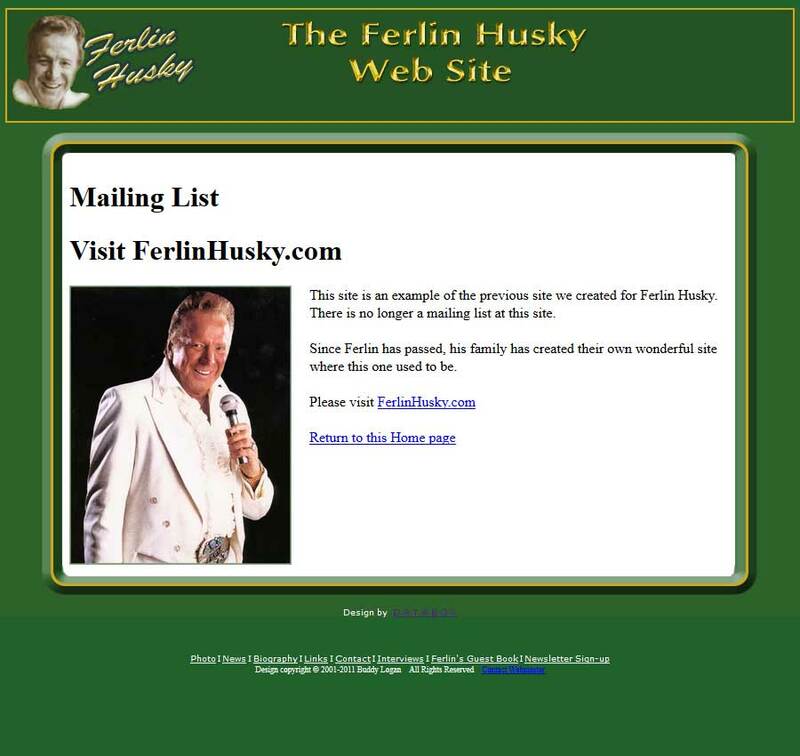 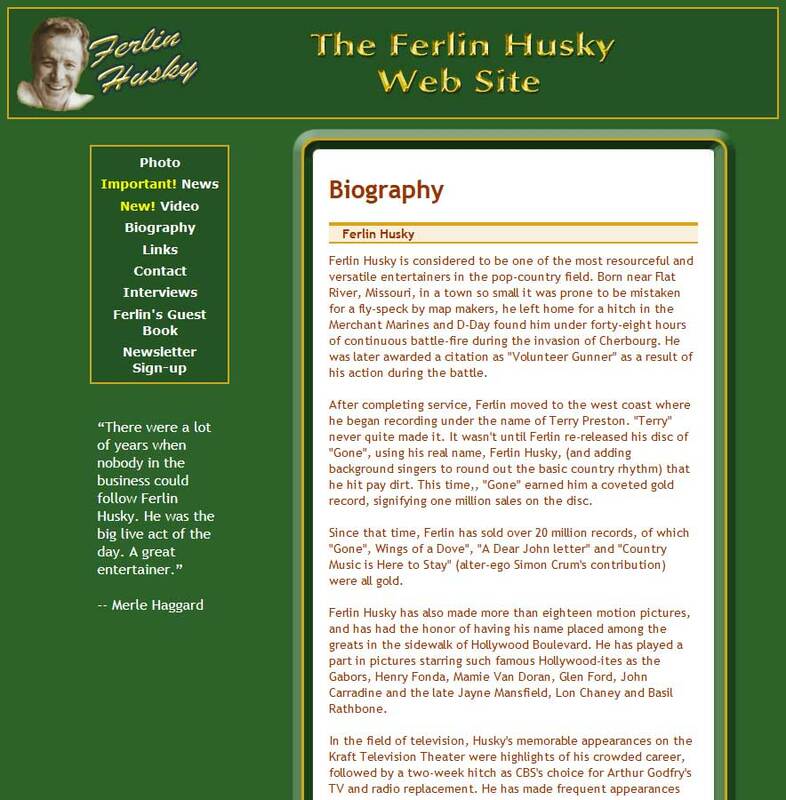 Grande Ole Opry Star Ferlin Husky wanted a site that was clean and simple, for fan and promotion contact. 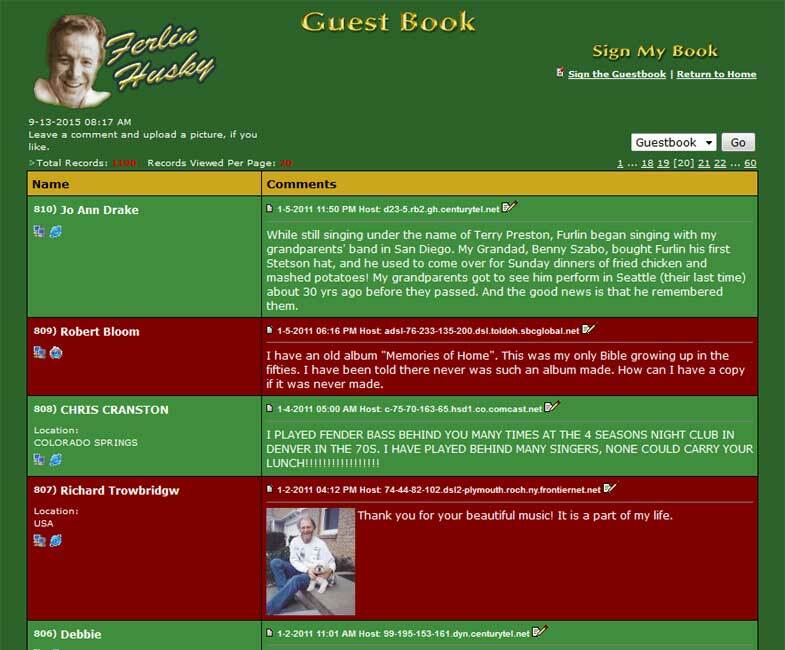 The site includes information for fans and promoters, as well as a guestbook. 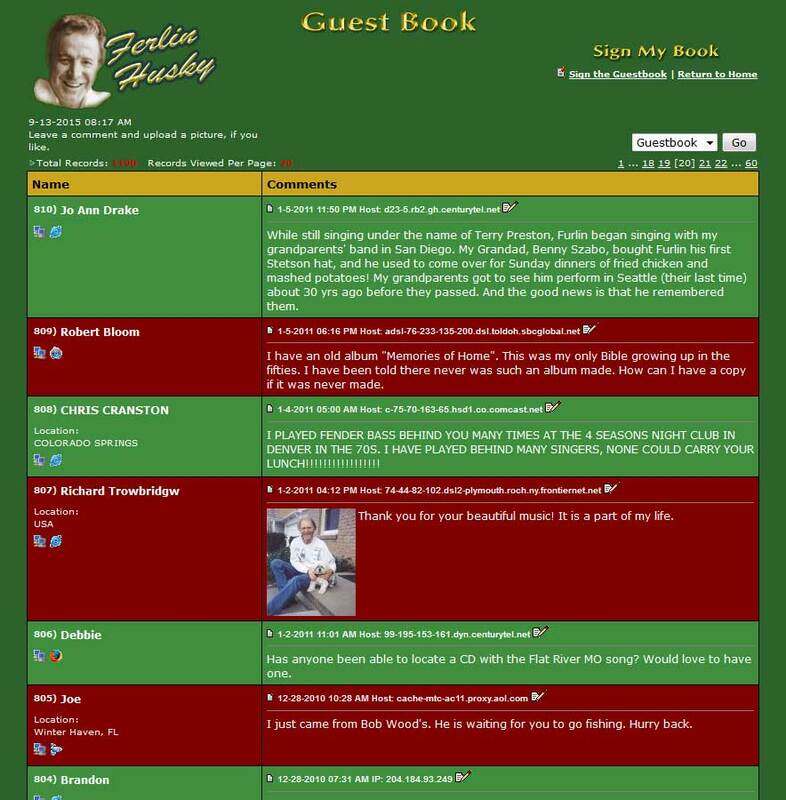 The Guestbook is provided free with our web hosting packages. 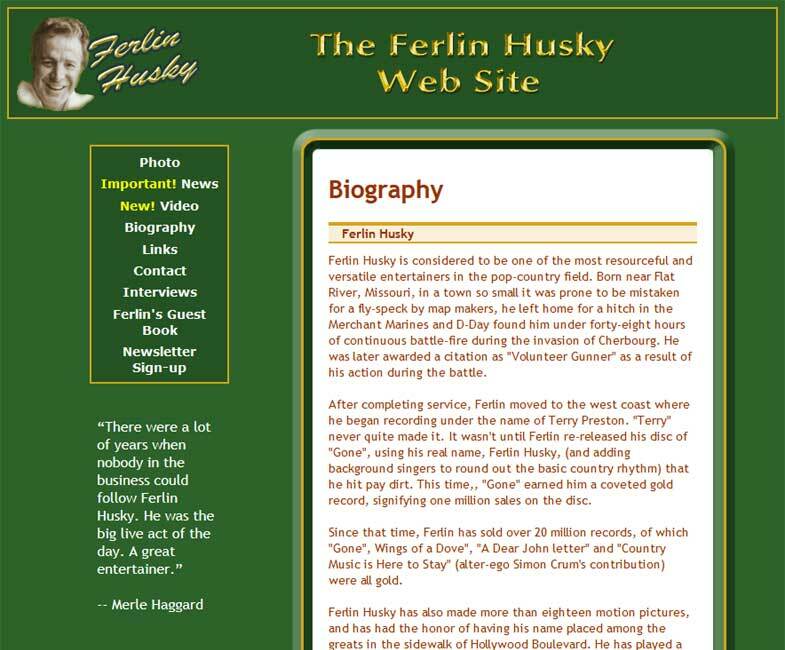 We customized it to blend in with the design of the site. 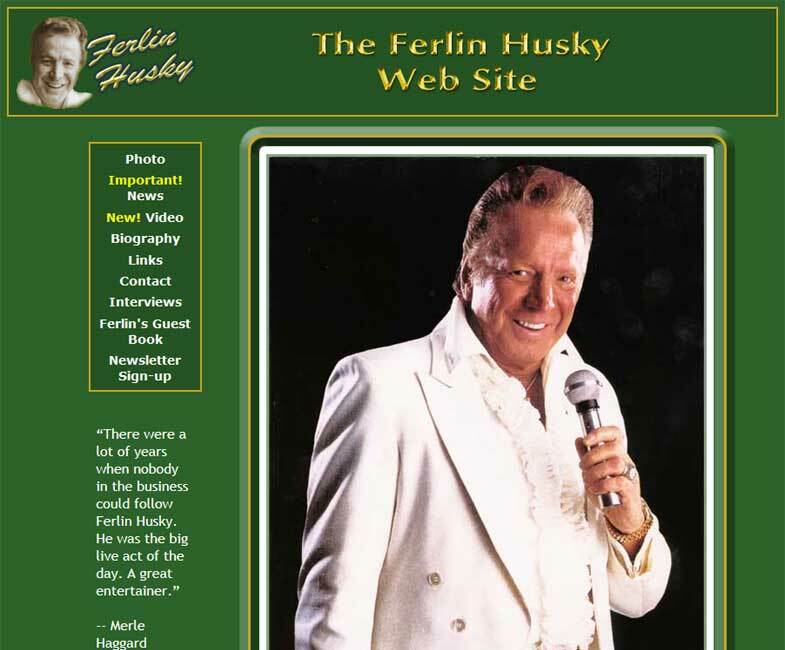 This site originally included a shopping cart for record sales and other fan items.